Studying architecture in the US will prepare you for a career that applies your creativity to construct, design, and implement plans that will impact the environment of those individuals who come into contact with your work. While there are selective requirements to be accepted into an architecture program, hard work and creativity will ultimately lead you to a successful career! Whether you are walking around the city where you live or you are touring a new town, you will see beautiful buildings and creative architectural pieces. An architect is able to leave a mark on society, and often the buildings that are carefully designed and added to a city's landscape become an expression of the person who thoughtfully conceived it. Many times, those masterpieces will represent the entire city or the history of a special place. The Eiffel Tower is perhaps the best-known landmark in Paris. The Empire State Building rings with the excitement of visitors to New York City. The Taj Mahal holds such a strong history and remembrance that it can never be forgotten. For each structure there is a story and there is a talented architect who carefully wrote and shared that story—blending science and art into a piece of everyday life. Choosing to study architecture in the U.S. is an excellent idea for any international student who has been mesmerized by the beauty, creativity and even the legacy of buildings and various structures. There are a variety of innovative and successful schools within the US that will help develop the ideas and hopes of young architects all over the world. 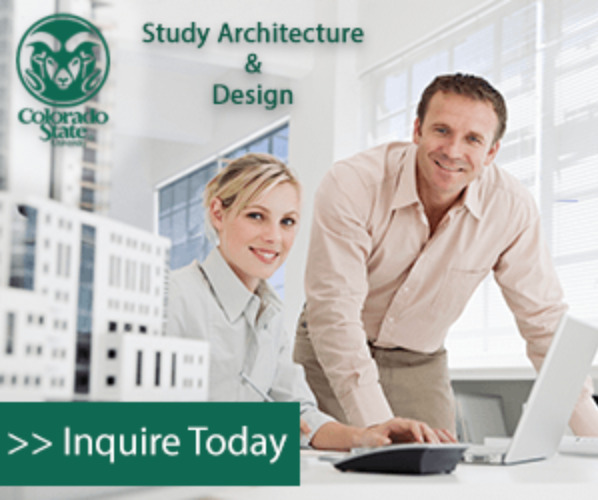 It is exciting to filter through all the options available to those wishing to study architecture. From historical to modern, from Asian to eco-friendly, there are many choices when it is time to choose an architectural specialty. There are schools that focus entirely on an education for commercial architecture while others want to encourage the romanticism and history in the restoration of old buildings. Be sure to research and pursue the school where you will become a master of the kind of architecture you want to study. The United States, according to Karissa Rosenfeld of ArchDaily.com, offers some of the top architecture programs including Cornell University	in New York, Southern California Institute of Architecture	in Los Angeles, and Rice University	in Houston, Texas. Each of these schools provide different architectural programs, internship opportunities, modes of instruction and faculty research and specialization. In many schools it will take five years to complete the entire program. As an international student, it will be very important to research other factors such as cost, entrance requirements and other internship opportunities while you study architecture. International students who study architecture at a US college or university will need to meet the requirements at their particular school. It is very important to research each school and identify their specific requirements as well as expectations throughout the program. Be sure to pay attention to the deadlines to increase the likelihood of a smooth and easy process. If an undergraduate student does not yet have a creative portfolio there are schools that will accept architecture and design students based on other criteria. In most cases, having letters of recommendation from your current teachers or instructors will assist you in the entrance to the school of your choice. Though some places do not require an interview, most architecture schools will require it. However, there are schools, such as Cornell, that will accept a 'written' interview in which you write your answers to interview questions when you cannot meet face-to-face. Most architecture schools in the US will admit a limited number of undergraduate students each year. The Southern California Institute of Architecture receives a total of 70 students into its program at a time. However, Cornell admits only 55. Due to their selective processes, the schools listed above and others only accept students at certain times of the year—i.e. the fall semester. Another requirement international students must have is an expressed dedication and commitment to the field of architecture. Students will have rigorous schedules and challenging projects, so students must be dedicated and passionate about architecture in order to succeed. Even after all of those classes, the work doesn't end there. After all, students will then need to seek out internships and apprenticeships that will give student the competitive edge in the job market (which could possibly lead to employed upon graduation!). Once you successfully complete your education in architecture, you will begin to tell your story, combining your creative mind and complex science into a structure that will stand out and potentially represent your city—to the world. Visit the Study in the USA School search to find schools that offer programs of study in Architecture and Design. Over time we will be updating this section and including more information for those who want to study architecture and design in the USA and for other countries, but please feel free to post your thoughts and comments on our Facebook fan page, and also follow us and post questions through Twitter.